The project to make Design Codes people-powered. A design code is a set of illustrated design rules and requirements which instruct and may advise on the physical development of a site or area. Because for the first time ever, Sadiq Khan’s London Plan (p.152) has announced that London boroughs will be required to prepare design codes for small sites. But the London Plan doesn’t say how they should be created – or by whom. Using more design codes could seed up the delivery of new homes and permit a wider range of smaller and third sector developers. Homes that comply with design code should be built under building regulation control rather than full planning permission in some types of site. Greater certainty would remove the huge advantage that larger, more experienced and well-capitalised developers have under the current, historically and comparatively very peculiar, British planning system. What’s the difference between design codes and planning permission? A design code is more proactive. It allows a council to say we want to do ‘this’ here, and to be very specific about what ‘this’ means. If you adhere to that specific code, you are allowed to build it – simple. If you want to do something different, you have to go through a longer, riskier process. At the moment that longer, riskier process is what happens for every single planning permission – this is very resource intensive, means councils can mostly be only reactive in their policy for specific sites, and that communities get very little say in changes to their area. This less risky mechanism is not entirely absent from planning at present. It can be delivered though outline planning permission but brings fewer advantages. The new ‘Permission in Principle‘ regime may also make it easier to use them although this is not yet completely clear. Design codes work when they reflect what people want to see. Rather than having a long drawn out planning argument on every new development, if a site has design codes that have already been drawn up and supported by residents, then there’s no need to have that long intensive debate. Councils and developers can know what is acceptable, and will be massively incentivised to build just that. Design codes give ordinary Londoners confidence – confidence that what they want to see in their neighbourhoods is what ends up happening. Most Londoners are in favour of more housing, but it’s unsurprising that there are suspicions about the form that this new housing will take, when you look at some of the things which have been developed. 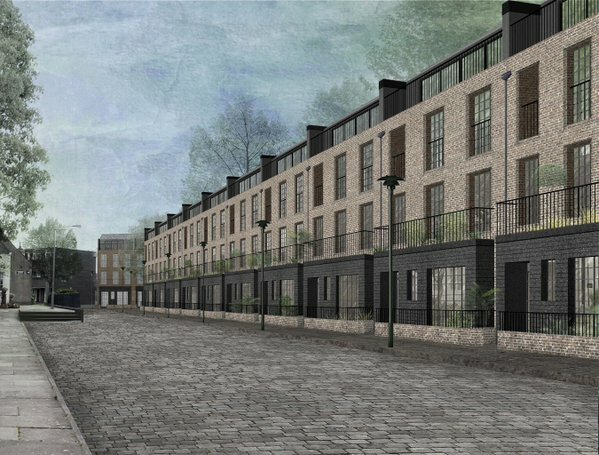 Design codes should be about allowing communities to set what gets built in their neighbourhoods, whilst also speeding up London’s delivery of much-needed housing. We think there should be a collaborative process in which the community, the council and some architects sit down and work out what people actual want to see – backed up by polling. We’ve run lots of these workshops and they can work. People thrash out ideas and come to a consensus, persuading others or making compromises where necessary. Certainty of acceptable built form also forms a more important component of development control in most of Europe which has consistently managed to build systemically more homes than the UK with nothing like the equivalent level of political controversy. In most of Europe, if developers and builders follow to the letter the Local Urban Plan, then the difficulty, complexity and cost of achieving development control is very low compared to the UK. We used to us them in Britain. Much of London was designed with what we’d now term design codes. Why can’t more of London be like that? In the upcoming months we’ll be reaching out to community groups and councils across London, to try to help them to create design codes that work for everyone. We’ll also shortly be launching a design codes survey to better understand how they could work in London – watch this space.